I couldn't find or create a script that would call the correct meter for your individual system so I've created each meter separately and put them in the zip folder. The folder contains single, dual, triple and quad core meters only because my rig only has four cores. If you PM me I can send you the corresponding images for your setup. 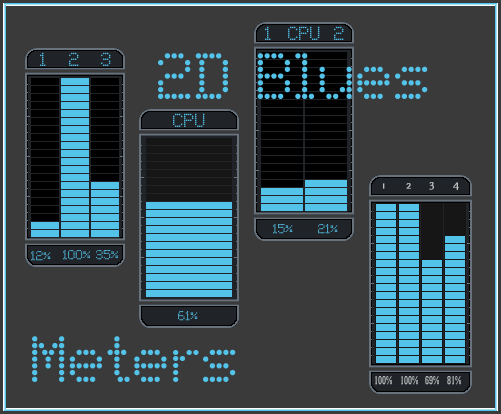 The accuracy of these and all DX Meters(without scripts) is questionable but they add an element of "COOL" to the desktop.